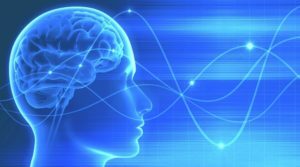 This workshop will provide an overview of the history and practice of neurofeedback. It will demonstrate how feedback, from one’s own brain waves, is transmitted by small scalp sensors and used in video games to support attention, concentration and affect regulation. This workshop will also briefly discuss the use of neurofeedback to improve attention, decrease the interference of anxiety, and support executive functioning. You will learn ways that neurofeedback can help to calm the fear driven brain that is oftentimes stuck in overdrive in individuals who have been impacted by developmental or complex trauma. **Neurofeedback equipment and software, including various video games played during neurofeedback, will be demonstrated with volunteers. There will also be an illustration and discussion of brain wave activity observed in EEG. The facilitator of this workshop, Gary Solak, is a Marriage and Family Therapist who has nearly 40 years experience as a clinician working in community mental health. For 30 years, he worked within Contra Costa Children’s Mental Health Division to assist social workers in identifying, understanding, addressing and advocating for the needs of children and families served by the child welfare system. After attending numerous workshops with John Briere, Bruce Perry and Bessel Van der Kolk, Mr. Solak became an advocate for trauma informed interventions. Following retirement, he served as clinical supervisor with Community Options for Families and Youth in Pleasant Hill, sharing it’s director’s commitment to trauma informed therapeutic behavioral services that support affect regulation, attachment and resilience. At the 2011 International Trauma Conference in Boston, Mr. Solak learned about the use of neurofeedback to quiet the fear driven brain. (Sebern Fisher, “Neurofeedback in the treatment of Developmental Trauma Disorder.) In 2015, Mr. Solak was trained in the use of Neurofeedback in Clinical Practice at EEG-ER and The Institute of Applied Neuroscience. He remains interested in neurofeedback as an intervention that can introduce, and reinforce, an experience of attention/affect regulation, especially among those who are frequently over activated due to developmental or complex trauma.